I knew Aarhus very well in my childhood – and always had a strong sense of the different ‘rooms’ of the city. Where the Iceberg now stands was the ‘industrial room’. 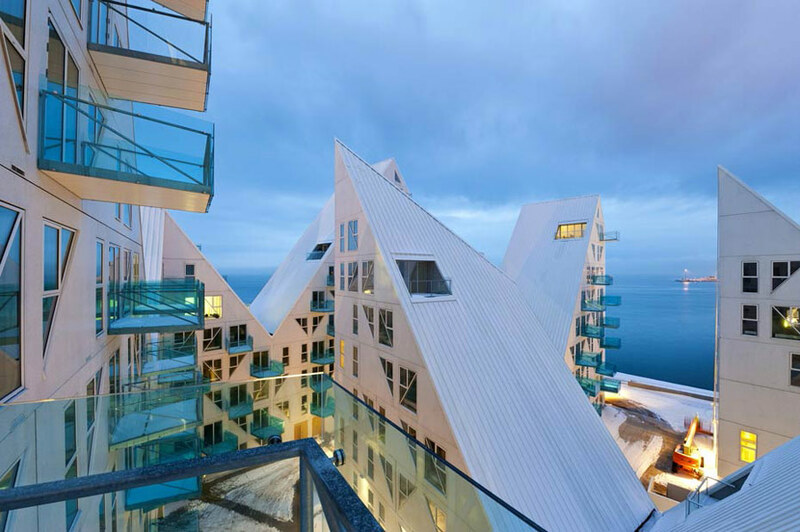 Like in so many cities on the coasts throughout the world, Aarhus is devoting a larger chunk of the previous harbour to apartments sold at a premium for the stunning unspoiled views across the sea. 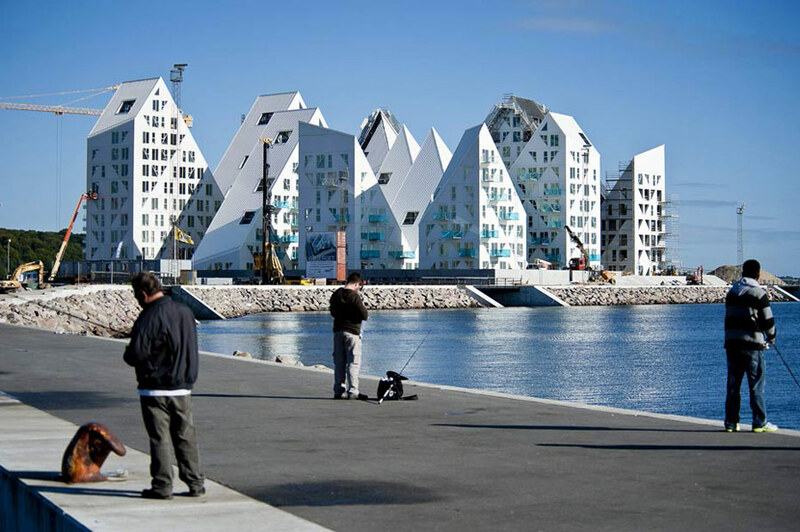 This of course means no more sea views for the older red brick apartment buildings along Havnegade and Kystvejen – there are winners and losers in this game. All the same – I like the Iceberg. The area around it is still dusty with building site debris flying into the early spring wind, this will change with time, and if you are one of the two boys I spotted on the blue glass balcony facing the sea you probably wouldn’t care! They had dragged mattresses, duvets and games consoles out into the sunshine, and it must have felt like heaven to lie there and hear the waves and the terns while winning some game on the Playstation. 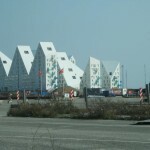 The project provides an enormous opportunity for Aarhus, Denmark’s second largest city, to develop in a socially sustainable way by renovating its old, out-of-use container terminal. The area is meant to become a living city quarter and achieve a proper level of urban density, comprised of a multitude of cultural and social activities, generous amounts of workplaces, and of course, a highly mixed and diverse array of housing types. 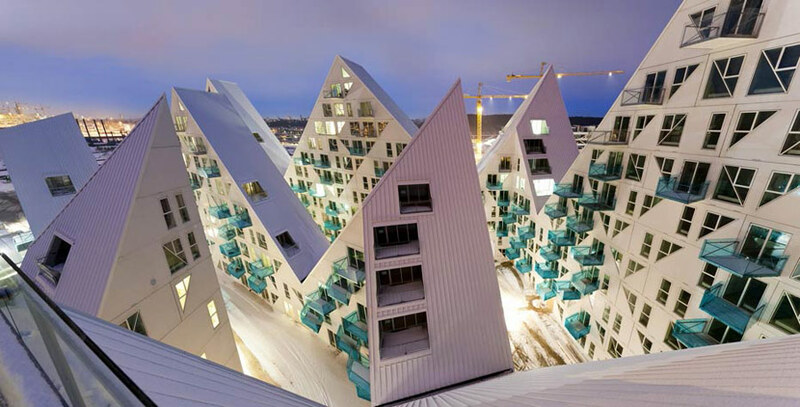 The Iceberg has been designed in a way that it allows natural lighting and waterfront views into as many apartments as possible. 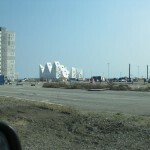 The resulting open and sculptural block closely resembles an iceberg. This year the MIPIM Award did not only start with a new presentation technique, PechaKucha which allows delegates to view each project and then make an informed vote. The MIPIM Awards did also attract a record number of entries with 175 projects from 46 countries competing. 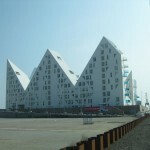 Amsterdam, 21 August, 2012 – Monday, 20 August, in Aarhus, Denmark, the topping out celebration of Isbjerget (Iceberg) took place at its spectacular waterfront location. 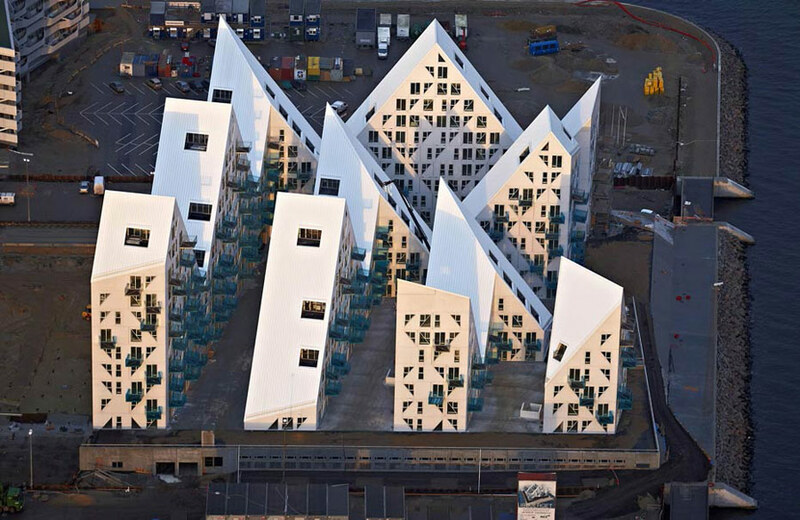 Isbjerget is a collaboration between SeARCH, CEBRA, JDS and Louis Paillard. To achieve optimal views from the apartments to the sea, the building has been cut in a crisscross manner, taking its inspiration from floating icebergs in constant motion. The sloping rooftops emphasize views and bring in natural daylight while providing stunning views out in several directions. 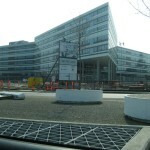 The 25,000 m2 multifaceted building houses 155 one or two storey apartments of 66m2 to 248 m2. A mix of owner and rental dwellings allows for a broad variety of residences, from starter units to grand penthouse apartments. 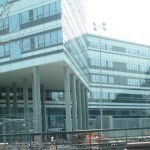 Its six commercial spaces range from 110m2 to 211m2. Project completion is on schedule for early 2013. SeARCH is a dynamic architecture and urban design bureau based in Amsterdam, the Netherlands, with an international portfolio. Led by founding architect Bjarne Mastenbroek, SeARCH sets itself apart through an emphasis on creating dialogue with surrounding landscape and urban setting with sustainability and environmental awareness as a key focus. Their work is highly acclaimed and includes Villa Vals, the Dutch Embassy in Ethiopia, a Conference Centre for Novo Nordisk in Hillerød Denmark, and the Synagogue LJG in Amsterdam. Current projects include a 5* Lodge Hotel in Switzerland and a private Hunting Lodge in Slovakia. The project will be developed by the Tækker Group and Brabrand Boligforening with an expected completion date of spring 2010.The Aarhus Harbour development provides a huge opportunity for Denmark’s second largest city to develop in a socially sustainable way by renovating its old, out-of-use container terminal. The area is meant to become a living city quarter, comprised of a multitude of cultural and social activities, a generous amount of workplaces, and of course, a highly mixed and diverse array of housing types. 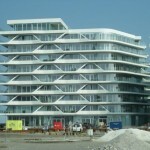 The Iceberg Project seeks to locate itself within the goals of the overall city development. A third of the project’s 200 apartments will be set aside as affordable rental housing, aimed at integrating a diverse social profile into the new neighborhood development. Idé: Ud fra pragmatiske ønsker om at tilvejebringe sollys og havudsigt for flest mulige boliger organiseres karréen i parallelle vinkler, der peger mod syd og ud til havnebassinet. Vinklerne udformes som takkede bjergkamme, hvor toppe og dale konstant forskydes. Resultatet er en åben og yderst skulpturel karré, der i udpræget grad ligner et Isbjerg. Idea: Isbjerget is the result of a pragmatic desire to bring sunlight and a sea view into as many apartments as possible. 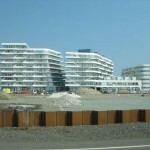 The apartment blocks are placed at parallel angles facing south and out to the harbour. The angles form pointed mountain tops staggered with valleys. The resulting open and sculptural block closely resembles an iceberg.